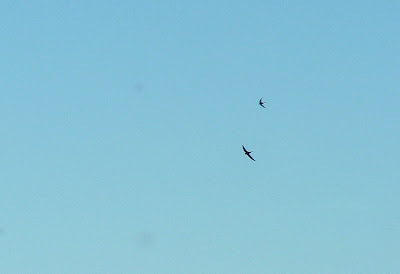 The wind was still blowing today, and with it big numbers of migratory birds have been moving across the country. Waders have been seen in huge flocks flying up the Channel for the past few days, notably Bar-tailed Godwits, and a number of Wood Sandpipers have been dropping in at various places. 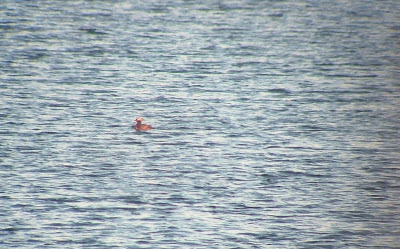 Plenty of seabirds are being watched, notably Little Gull, Common, Arctic and Black Terns. 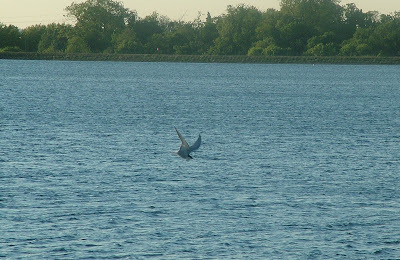 In Berrow, Somerset, more than 1,500 Arctic Terns were counted plus 50 Black Terns. 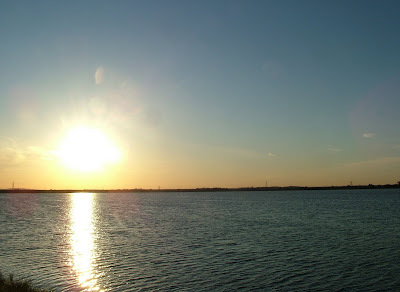 It was this current wave that drew me to Staines Reservoir this evening. 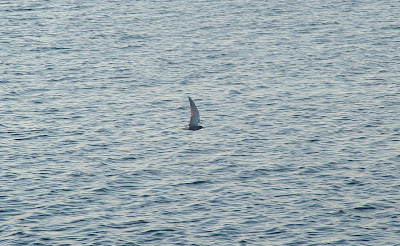 I'd seen on the London Bird Club website that more than 21 Black Terns had been seen there, plus plenty of Arctic Terns. 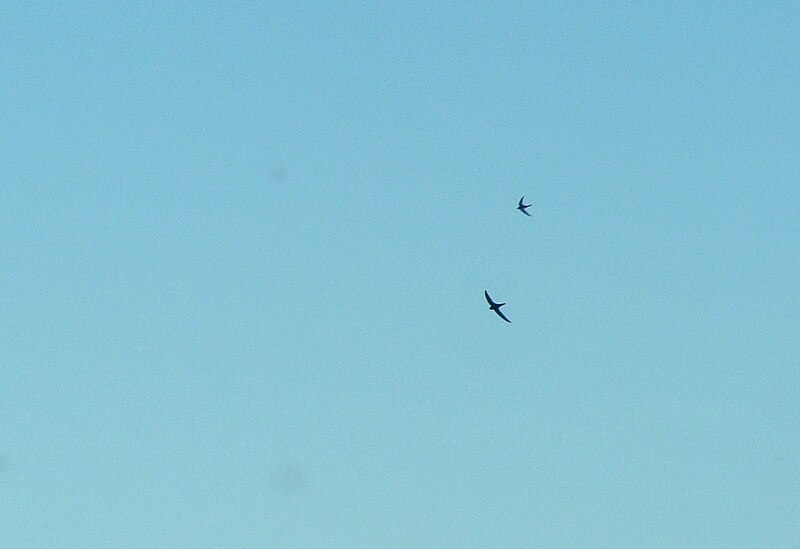 Also the Swifts had arrived. 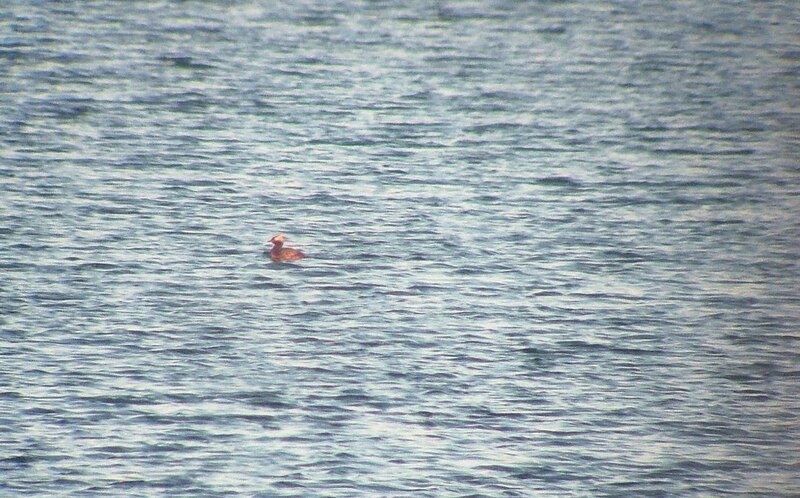 I didn't arrive until 6.30pm, but I was really looking forward to watching a bumper crop of seabirds using the reservoir as a feeding station during their migration. I wasn't to be disappointed. It was a busy place. Pride of place went to 22 Black Terns (140) feeding on the north basin at the eastern end. What a great sight - I'd never seen so many Black Terns in one place before. 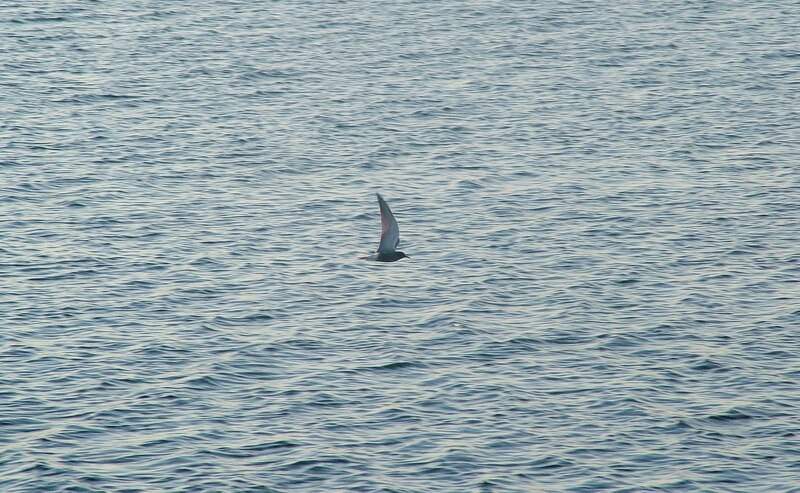 I also spotted four elegant Arctic Terns (141), also feeding on the north basin with numerous Common Terns. The Little Tern remained elusive. 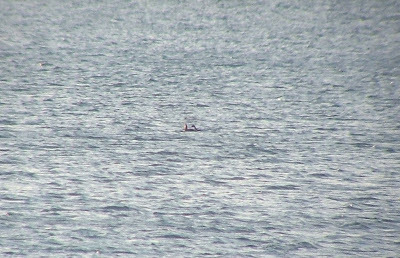 On the south basin there were four Little Gulls, plus I actually got to see the summer plumage Slavonian Grebe at the eastern end at long last. 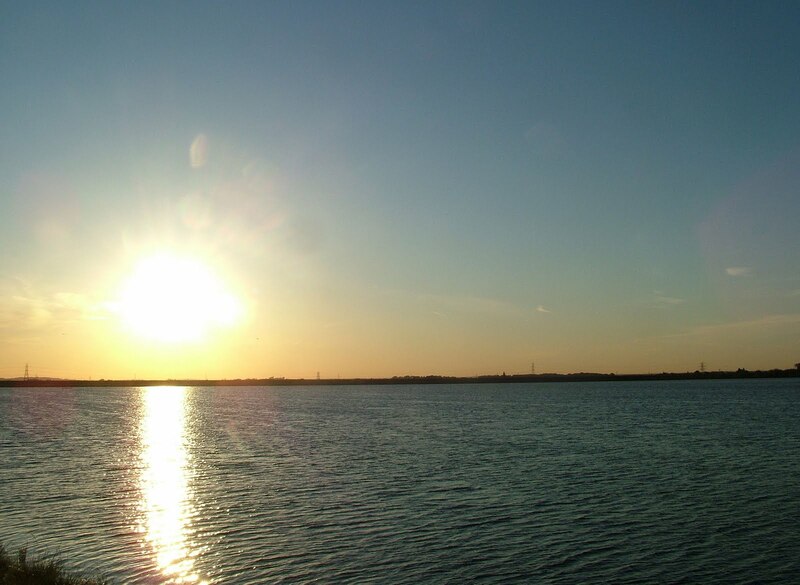 I didn't see any at first, but soon at least 20 Swifts (142) joined the party as the sun began to cast long shadows over the water. 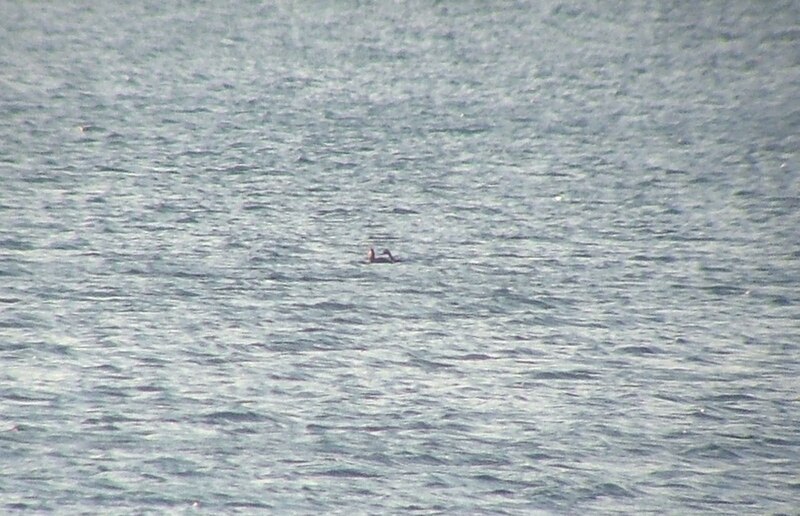 Back on the north basin I caught site of two Black-necked Grebes but couldn't find the Turnstone that had been recorded earlier. It didn't matter, though. It had a brilliant early evening Staines display and I'd got to see pretty much everything I had come for, which doesn't happen that often.